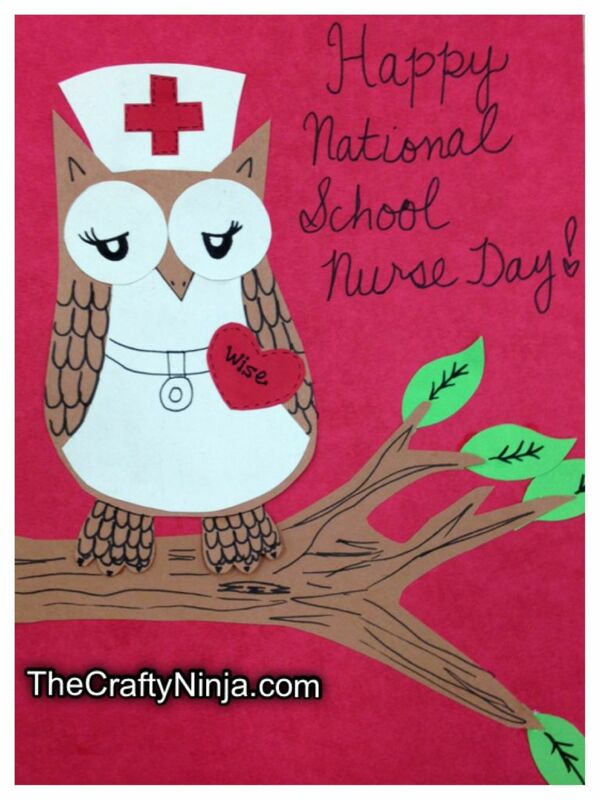 Today is National School Nurse Day and to show thanks to my wonderful school nurse and all that she does for the students. I handmade an owl card because she loves owls and her office is decorated with them everywhere. To get started I used brown, white, red, and green construction paper and a black marker. I first drew out the owl’s body with brown paper, and then drew the stomach on the white construction paper. I then traced a circle stencil for the eyes. Cut the heart and cross out of red construction paper. Cut out the tree branch and leaves for the tree. Added the details with a black marker. I appreciate my school nurse and she is the best!